Brand strategy is now part of the mainstream of destination and place marketing. But for small destinations brand management can seem too complex. Or the stories that they develop look too similar to other places, and so don’t do enough to enhance the destination’s attractiveness. But there is one simple and effective technique any destination can use to raise its profile. It is only over the past twenty years that the concepts of brand strategy and management have been adapted for destination and place marketing. But now tourism destinations, large and small cities looking to attract business investment, rural regions wanting to grow their population, universities, residential developments, major shopping centres and so forth, all commonly define themselves as brands. Even entire countries are attempting to manage their ‘brand image’ as attested to by FutureBrand’s Country Brand Index and Brand Finance’s Nation Brands survey. Typically these destinations and places – amongst other things – have defined positioning statements, brand promises, well articulated features and visitor benefits, and even personalities. All of which contribute to the overall story they want to tell to achieve their marketing objectives. This story is expressed and applied in various ways. Consumer communications are the most visible outcomes. For example: slogans, logos, advertising campaigns, websites, brochures, guides, prospectuses, highlighted features and experiences. More forward thinking places use their brand stories to help shape what they offer – to guide what infrastructure, assets, systems and processes to develop or create, and other areas to invest in to improve the destination’s appeal and competitiveness. From a tourism perspective, this is all fine for tier one destinations. Places that are typically the hub of a holiday or that drive the reason to travel in the first place. But what if your destination sits on the periphery of these? 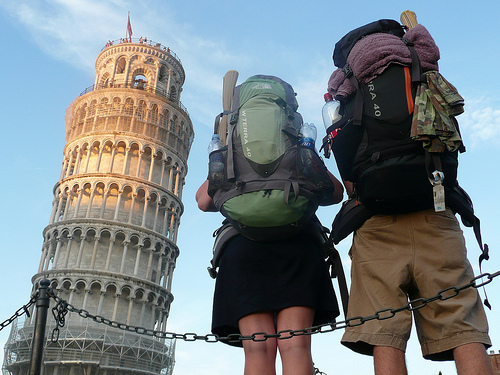 What if realistically your objective is not to be the place to visit but simply to be a place on a traveller’s itinerary? What if you’re simply looking for a few hours of a traveller’s time or just an overnight stay on a road trip? If you’re marketing a small destination like a town or resort, or place or attraction such as a winery, a second-tier theme park, museum or gallery, a local market, or even a restaurant or pub, brand management principles are still important. You should still in some way define your ‘brand’ and the story you want to tell. 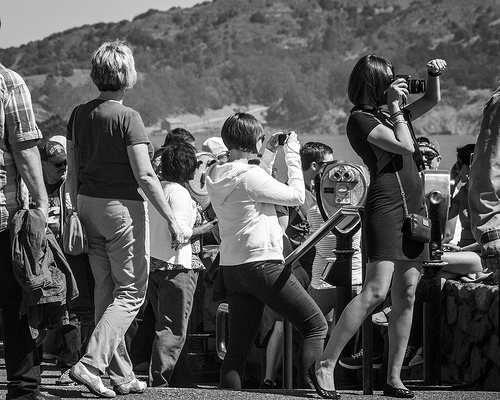 After all the default media these days for tourism marketing is digital and social media. A well thought out brand story helps to guide the detailed information these demand. In the absence of this we see destination websites focusing on delivering lots of undifferentiated facts and hygiene factors; points that do little to set them apart from other places. Or social media efforts encouraging and disseminating the opinions of visitors or locals with little thought given to the overall impression collectively created by them. Even with a reasonably well articulated story, the result can often be an uninspiring cornucopia of factoids and ‘me too’ selling points. The fact is the principles of destination branding assume that people go through an in-depth consideration process in choosing where to holiday. And often this is true, which is why getting the details of the story right is important for primary destinations. But typically this is not the situation with choosing small destinations to visit. Instead they get onto a traveller’s ‘shopping list’, and sometimes straight to the top of that list, simply because of one thing that sets them apart, even just a bit. The most obvious example is the cultural, historic or natural landmark. Traditional tourism marketing couldn’t get enough of these. Many a destination has relied on being “the home of” some sightseeing attraction. Take for example Pisa’s Leaning Tower, Capri’s Blue Grotto, the town of Roquefort’s cheese heritage, Amritsar’s Golden Temple, the world’s largest ball of twine in Cawker City, Kansas and, closer to home, Nambour’s Big Pineapple and Coober Pedy’s underground houses. The answer will be about finding, framing in a different way, and/or creating the ‘one thing’ that will pique people’s curiosity, get them thinking or wondering, or trigger their imaginations. To create just a small sense that they would be missing out if they didn’t have some experience of it. This may seem trite given the sophistication of the brand frameworks and communication channels outlined previously. But having a point of difference has long been a corner stone of marketing. Differentiation is the engine that drives brands. And in the absence of significant and tangible points of difference, the “differentiation of anything” can often do the trick. The other thing to consider is recent learning about how people really make decisions (as has been touched on in previous posts). Rather than being well considered, analytical decision makers, most of us are lazy users of mental short cuts. If your ‘claim to fame’ (whatever that may be) can simply evoke a “that’s sort of interesting” feeling amongst prospective visitors, that’s all it may take to tip things in your favour. The other parts of your brand story will help support their final decision to visit, but it will probably be the ‘one thing’ you lead with that sticks in people’s heads and clinches the deal. So what can you be famous for? The answer may simply require a bit of fact finding and some imagination, or it may need some heavy lateral thinking and investment. Here – in no particular order – are some examples of small destination fame. Some better known instances are: Verona as the background for Romeo and Juliet; Pamplona for the running of the bulls (which benefits throughout the year as the place where the iconic, annual event is held); Salem, Massachusetts, for its 17th-century witch trials; Salzburg and its surrounds as the setting for The Sound of Music. Then there’s the list of otherwise unremarkable golf courses that have been put on the map by having a famous hole. Or theme parks that that draw in the crowds because of one hero ride. For instance, most non-Americans would not have heard of Busch Gardens in Williamsberg. But the park’s Alpengeist roller coaster was “the world’s tallest complete circuit inverted coaster” for almost 20 years until being usurped for the title in April, 2014. On a smaller scale still, think about the number of restaurants that make “the best steak in” town / city / region / state / country / continent / ‘the world’ type claims for various dishes. Or restaurants that entice customers with just one unusual or exceptional signature dish. Of course not every place is fortunate enough to have a significant historic fact, cultural event or natural or man-made feature to draw on. So here are some less known examples of place fame to think about. Newport, New Hampshire, is the hometown of Sarah Josepha Hale, believed to be the author of the childhood poem Mary Had a Little Lamb. Hawaii’s Sealife Park, a small marine park by international standards, boasts the world’s only wholphin; a cross between a dolphin and a false killer whale. 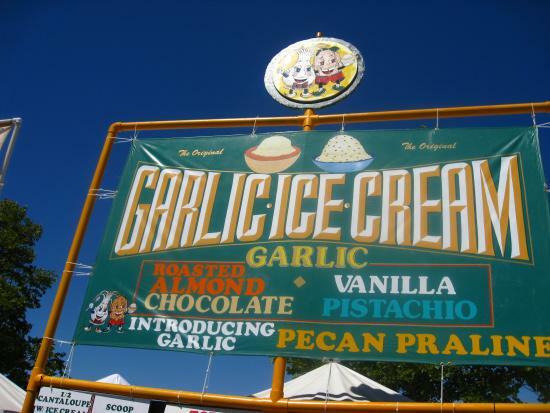 Gilroy, California, hosts the annual (and unusual) Gilroy Garlic Festival, a charity event where visitors can sample such creations as garlic flavoured ice cream and garlic french fries. The Old Cataract Hotel in Aswan trades on being the place where Agatha Christie wrote Death on the Nile. For all its colonial history, Ipoh in Malaysia’s highlands, has arguably become most famous for its white coffee – a secret blend of arabica, robusta and liberica beans. Bibury likes to point out to prospective visitors that it was described by 19th-century artist-writer William Morris as “the most beautiful village in England”. According to its Convention & Visitors Bureau, Dalton, Georgia is the ‘Carpet Capital of the World’, based on the fact that “More than 90% of the functional carpet produced in the world today is made within a 65-mile radius of the city”. What about places that can claim to be the birthplace of something? Take Treviso in Italy – home of Tiramasu; the Anchor Bar in Buffalo, New York – the originator of Buffalo Wings; Robstown, Texas – the first place where Texas Hold’em Poker was played; Ironbridge, Shropshire. “the birthplace of the industrial revolution”; Windsor, Novia Scotia, which claims to be where ice hockey originated; Ronda, Spain, “the birthplace of modern bullfighting”, and so on. Recently some have proclaimed the town of Bowral in New South Wales to be the “birthplace of Mary Poppins” on the basis that the character’s author, P.L. Travers, spent much of her childhood there. 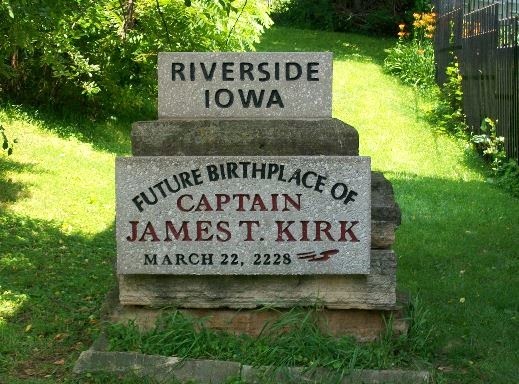 Showing what a bit of marketing imagination can do, the residents of Riverside, a town of some 1000 residents in the Southwest of Iowa, have declared it to be “the future birthplace of Captain James T. Kirk”. Seizing on an ambiguous description by Star Trek’s creator Gene Roddenberry that Kirk was born in “a small town in Iowa”, Riverside simply decided to claim itself to be his specific birthplace. It then backed this up with a monument, starship and shuttlecraft models, a history museum that tells the story, and an annual ‘Trekfest’. In short, as some of these examples suggest, it may not really matter what you’re famous for. Investigate, think, imagine, create, conceptualise. Then just be ‘famous’ for something! Thanks for sharing your thoughts on Place Branding as a so important tool to promote a city, a country… There is a broad field to work in to completely develop it. Marta – There’s been a lot written on place branding over the past 10 years. But the reality is that as a discipline it’s still in its infancy. 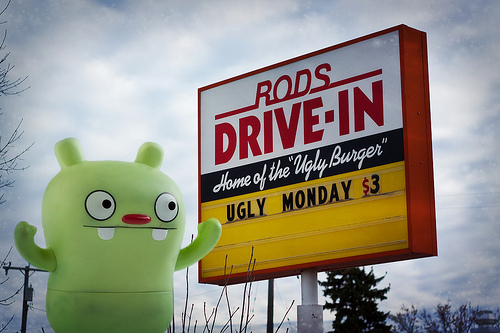 We cant all be all things to all people so pick your micro-niche and market directly to it and only to it. This helps to make you an authority on the niche and Google does respond by promoting your site up the ladder. This way, you can attract visitors from right around the world. People want to know what’s in it for THEM, not how good you think you are so your association with heavyweights like TripAdvisor goes a long way in establishing your credibility as a great little destination regardless of where you are. That just because we operate from an obscure little town called MANNUM in South Australia we are by NO means restricted to competing with regional accommodation houses purely in out region. In fact – we don’t compete! We are 5 times the price of other local accommodation providers, we are more remotely located yet we attract people from all over the country. This is the Secret to success. The magic of next to free Internet Marketing directly to YOUR micro-niche customer.